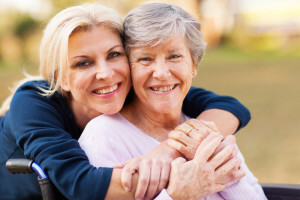 Is your spouse or elderly parent facing possible incapacity? Do you have a child with developmental disabilities? We can assist you in determining whether this person’s affairs should be handled by others. There are several options to be considered. The person may only need informal support in decision making. However, if more assistance is needed, and the person has sufficient capacity to understand and execute documents, he or she can execute powers of attorney to allow a trusted agent to handle his or her affairs without court supervision. If an elderly person facing possible dementia has created a living trust, it may be appropriate for that person to resign as trustee to allow the successor trustee to take over management of trust assets. In addition, many trusts provide that, if a physician certifies that a trustee has become incapacitated, the trusteeship will pass to the successor trustee. If the person who has diminished capacity has previously executed an Advance Health Care Directive, a conservatorship may not be necessary to handle health decisions. 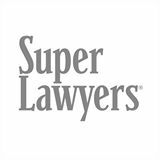 We are happy to meet with you and help you determine whether there is an alternative to a court conservatorship. Regular conservatorships are the most common. They help aging adults that are suffering from diminishing mental capacities. The court may appoint a conservator of the person and a conservator of the estate. Conservators in regular conservatorships usually have full decision making powers. Limited conservatorships are similar to regular conservatorships, except they only benefit developmentally disabled adults. A limited conservator’s duty is to help the limited conservatee develop self-reliance and independence. The judge will only give the limited conservator power to do things the conservatee cannot do without help. The process to establish a limited conservatorship can be started immediately prior to the person’s 18th birthday. However, you can establish a limited conservatorship at any time after the person with the developmental disability has reached age 18.